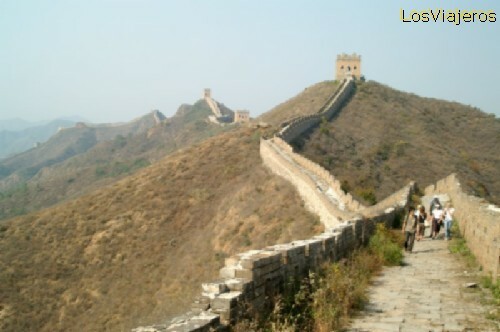 The Great Wall -Simatai- China: Today we walk about 10 Kms. of trekking on the Great Wall. This areas is conserved in it primitive shape. This itinerary has some dangerous areas for its slope and the slippery surface. La Ciudad Prohibida -Beijing - China The Forbidden City -Beijing- China "Index"